EU, US and NATO are preparing a media offensive against Russia inside Russia. The alliance aims to operate propaganda against the Russian government. This will also reduce the likelihood that independent media will thrive in Russia. The «Strategic Communication Team East», as this operation is called», has already «reached its full staffing levels» as of 1 September 2015, according to the German federal government. «The EU member states don’t only build, with NATO’s help, Russian-language media in the eastern EU Member States, as is happening with the television station ETV + in Estonia. In addition, there are clear indications that even Russian free media are being funded [infiltrated] directly. 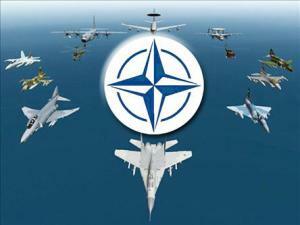 The EU and NATO, the propaganda program against Russia, will be extended with the start of the operation. The EU Member States already finance non-governmental media in Russia, and this means that they intervene directly in the media landscape of Russia. Russian perspectives are now to be neutralized with counter-perspectives, foreign propaganda. The expected communication offensive poses a real danger that the relationship between the Western countries and Russia will become even more confrontational than it already is. The logical reaction of Russia will be to outlaw the foreign financing of free media». «Now the media and members of civil society will also be invited to this backroom politics of propaganda. It is extremely dangerous if governments and military try to gain information superiority and pretend that propaganda, even when and if it’s against propaganda, is instead news-reporting, not propaganda itself. It is particularly problematic when the ‘Strategic Communications Team East’ as described by the Foreign Office, even poke at youngsters. Instead of continuing to rely on media tutelage, the EU needs to reconsider its policy towards Russia fundamentally. To say it with the words of former EU Commissioner Günter Verheugen: Peace is possible only if no one wants to dominate the other. This also applies to the media front, Russia, the US and the EU alike». Russia is a part of Europe. By contrast: Saudi Arabia, Qatar, and the U.S., are not, and they don’t actually want to be. They’re not trying to be European. (During America’s invasion of Iraq in 2003, non-participant France was even publicly despised with slurring jokes aagainst “French fries.”) They’ve never requested membership in the European Union, and they’re not even on the European Continent. By contrast, Russia is historically a part of the European family. Tchaikovsky and Tolstoy were Europeans, as much as Beethoven and Dickens were. Mark Twain, great though he was, was American, not European. Arabia and today’s jihadist-supporting U.S. are not and don’t want to be European. Instead, Arabia has been, and the U.S. has become, dictatorial, even having the nerve to demand that Syria’s popular elected President Assad, the only secular leader that that country can have, must be expelled from power and replaced by a U.S./Saudi/Qatari stooge, and the nerve to proclaim that Syrians aren’t the people who possess the right and the final say-so to determine whether or when Assad should be removed from Syria’s Presidency. The EU’s leaders who favor the U.S. instead of Russia are favoring dictatorship over democracy in Syria — and in Europe, too. The U.S. used to be a democracy, but no longer is. “Strategic Communication Team East” is part of the U.S.-Arabic war against Russia — against a nation of Europe. Rather than having welcomed post-Soviet Russia into the democratic club, the United States has steadily been extending its military alliance against Russia: NATO.